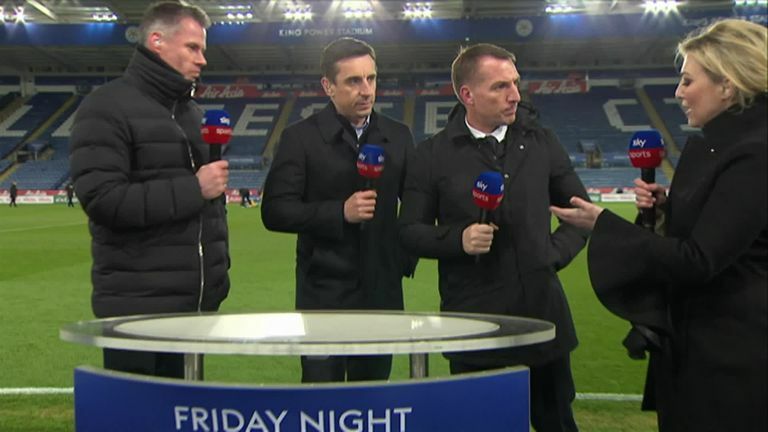 Speaking to Sky Sports, Leicester manager Rodgers, who was appointed in late February, said: "It was interesting to watch the team because it is the first time I have really seen us in this type of game where we have to break them down, and I think it's an area where the team has struggled but hopefully in time we will get better at that. "The players will be disappointed. They have been brilliant since we came in and this has been the first real disappointment for them. "We are seeing them under pressure," said Rodgers. "If you come in during pre-season then it's all quite nice and then the season starts.